Email Nicole Directly nicoleirenetattoos@gmail.com or give us a call at the studio to set up an appointment! Tom Einheuser will be with us @ Name Brand Tattoo September 1st and 2nd. Email TomEinheuserTattoo@yahoo.com for an appointment or stop on in! 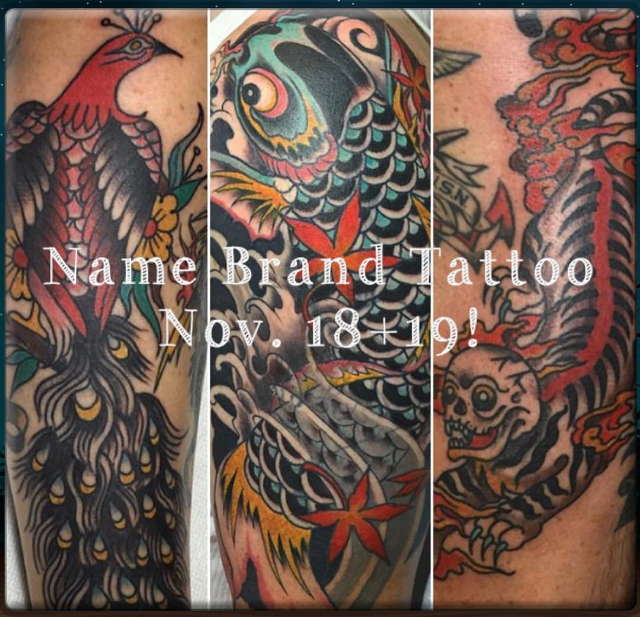 Vote for Name Brand Tattoo! I am not sure if we are the coolest but we definitely take pride in our craft! Evan Lindemann from Electric Tattoo in New Jersey will be visiting us March 9th - 12th.